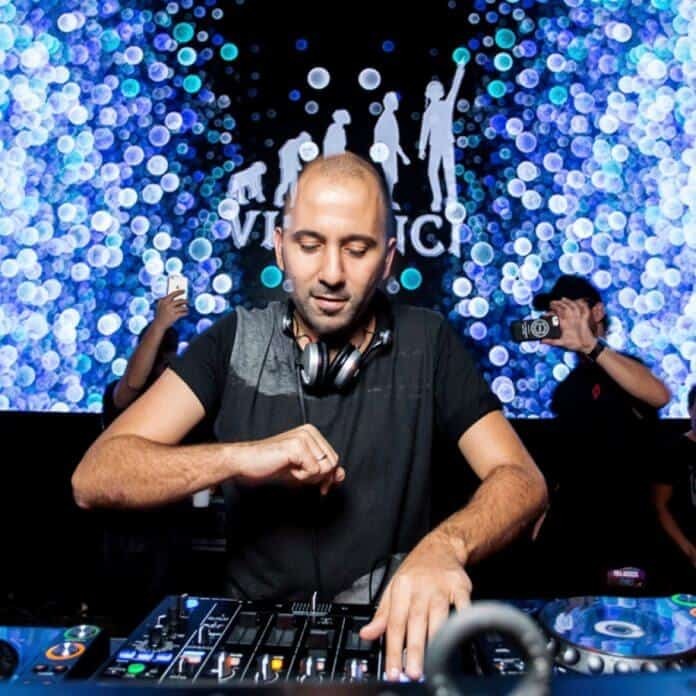 Continuing immersion in the world of modern electronic music, Youth Time talked with Matan Kadosh, co-founder of the Vini Vici project, and learned the outlook for the future of psytrance. You told that psytrance is a way of life for you, not just the music cloud. What is special about it for you? First of all i meant that in psytrance there is a lot of spirituality involved. As for me, it can be a life changing experience. I see a lot people, that come from the different Works and then they come to psytrance – and it changes thein personality. Even a violent person, or a person, who is superficial suddenly discovers a new world. It is a bit more out of the society, a bit more open-minded, accepting the differences. What do you mean, when you speak about spirituality? What does it mean to you? I don’t want to speak in behalf of other genres, but when you make a psytrance, it’s very important to be in a flow, to have a story, to know the meaning you are putting into your music. It’s something more from the heart and there’s a mason, why psytrance is originally from Goa. In the end, we can speak about a big package of spirituality, and music, and discovering new things in yourself. Who’s your videografer? The video background of your session today is really cool. Did you implement your ideas into it? Actually, I didn’t look at the screen (laughing). We did work on a lot of amazing new visuals, but I’m not sure if they (technical support) already got them, but anyway the today’s one must be a nice one and I hope people liked it. The name of your project is Vini Vici – why did you choose it? I’m sure, that’s not a coincidence and you know that it’s the part of Julius Caesar words. When creating the project we set with few friends then and made a brainstorming. There were several names we were thinkimg about, and suddenly an option of that famous phrase came up. I said that it’s a bit too long, so we cut it and changed it a bit. Of course I like the things it stands for. How will the scene of psytrance music look like in, let’s say, five years? I think, for psytrance it’s the best time ever now. All the DJs of my genre and all the party organizers, and music labels – they all agree with me. This label is selling the best now. The music is being spreaded to a lot of new audiences, many new countries, new scenes. There’s work for everyone now. As for me, we are living in the Golden year of Psytrance. But it has the future or not? Trance music is changing every few years, but the psytrance has very, very strong and stable underground roots. So even if this changing trend in the music world will fail, psytrance will be here. It exists for 25 years already, and, again, it’s just growing stronger. You told once that in your country – Israel – almost every young boy or a girl wals to be a DJ. What would be your advice to start a career in the psytrance world? I don’t think, that this trend can be obvious only in my country now. Becoming a DJ is a very common thing today. A lot of young people dream about it and there’s a good mason for it – it’s an exciting way of life. How to reach the aim? As for me, the most important thing is to think out of the box, To be brave enough for it. If you copy someone, you can be only the second one. If you follow the crowd you’ll never go further than the crowd. So, if everyone goes right, go left, and if everyone goes left – go right! Think different and be different. The concept of ‘Vini Vici’ was formed as an attempt by the boys to express their love for the old school sound paired with their progressive ideas. ‘Iboga Records’ and ‘FM Bookings’, widely considered to be the biggest psy trance label and booking agency, was the first to see the potential of the project and invite them to be part of their well respected family alongside such names as: Ace Ventura, Liquid Soul, Ticon, Captain Hook, Atmos, and the like. After the huge success of their premier EP ‘Divine Mode’ and their follow-up ‘Back Underground’, ‘Expender’, ‘Anything & Everything’, and ‘Veni Vidi Vici’ tracks (All top sellers at ‘Beatport’ and ‘Iboga Records’ charts), produced while massively touring the world nonstop – Brazil, Mexico, South Africa, Switzerland, Finland, France, India, Denmark, Germany, Unites State, Italy, Portugal, Austria, Australia, Serbia, Netherland, Scotland, United Kingdom, Ireland, Israel… – it’s no surprise ‘Beatport’ places them as the #3 Top Artist of 2014. The guys didn‘t stop, so the 2015 was a year of successful release of their debut album ‘Vini Vici – Future Classics’. Hitting Beatport Main Chart #2 (psytrance #1) a place where very few psy trance artists stand before followed by ‘psyshop’ #1 and ‘TrackItDown’ #1 spots while legendary ‘Infected Mushroom’ named them as the best psy trance upcoming artists at the moment and ‘Armin Van Buuren’ edited their already classic tune ‘The Tribe’ and featured them at is legendary ‘ASOT’ radio show for the 5th time. According to the start, the next years look even more promising.